The demand for more compact and efficient audio amplification has resulted in the good’ol tube amp making way for far more compact digital circuitry. It is a sacrifice music lovers have made without realizing it. However, if you are one music lover who realize the lack of the warm offered by tube amp, here’s a little gadget that may delight you. 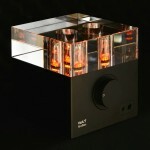 Meet Ceres Hybrid Tube Amplifier by Pi 2 Design. 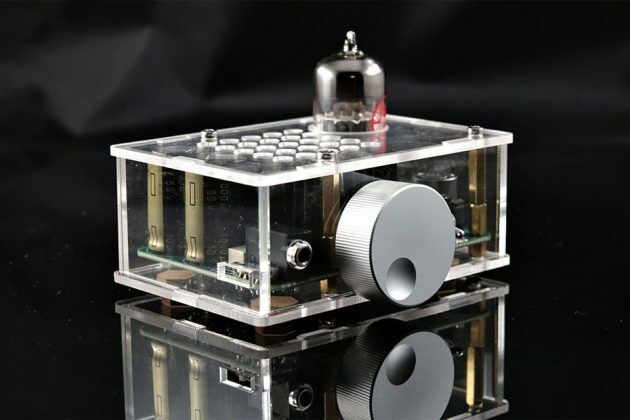 Ceres aims to deliver classic, warm tube amplified audio, through a Single Tube Architecture. 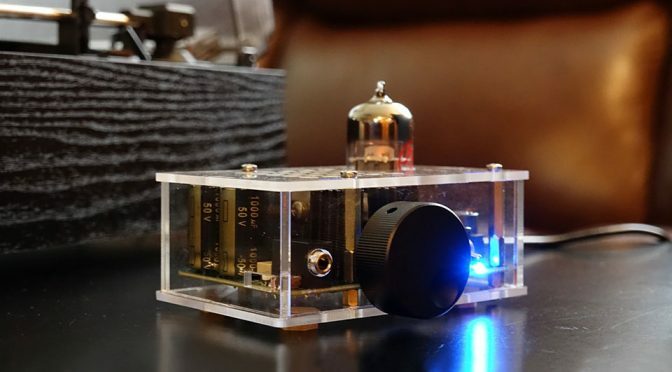 It features a dual-triode tube that amplifies incoming signal before piping it through a Class A Solid State buffer to ensure it has the required power to drive a wide variety of headphones. Speaking of variety of headphones, an user-selectable attenuation and output impedance are in place to ensure the best possible audio delivery in virtually any headphones. 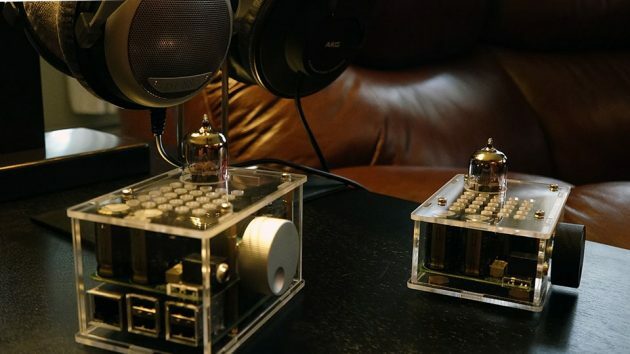 Unlike majority of headphones amplifiers out there, There is really no worries if you have a high impedance headphones because Ceres is capable of driving up to 6V RMS to handle those. 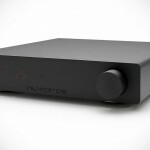 Ceres is not only to boost your personal listening experience; it also gladly comes between your existing AV setup, such as your turntable, for example, and your stereo system setup to serve as a line amplifier/buffer, ensuring that low drive source delivers. 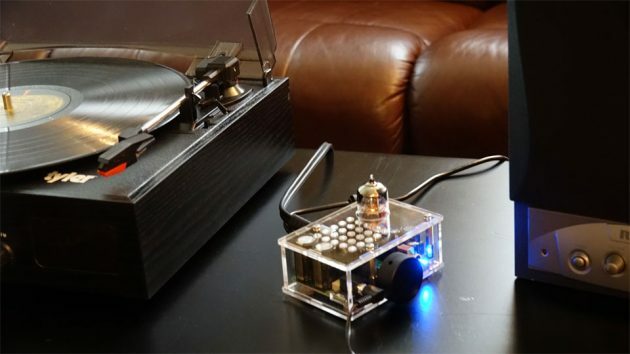 Ceres works with a variety of sources, including the likes of smartphones, tablets, music players (iPod included, if you still have those), laptops and desktop PCs, and any other devices that has RCA output. Aesthetically, Ceres is a cumulation of the old and a new. 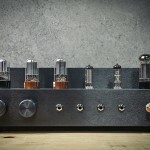 A dual-triode tube extrudes the old school vibe while a clear enclosure that exposes the internal, providing the device with a futuristic charm. Now, tube amp is not wiped from the history. 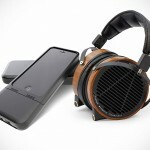 They are very much alive, but most of them are based on old tech, bulky and very pricey. However, Pi 2 Design is set to change that conceptions; not only it promised to deliver the aforementioned, but it is also affordable too. The caveat here is, the affordable pricing of $99 and up is only available through the product’s Kickstarter campaign and this means, the product will only realize if the campaign meets its set funding goal. So, if you like to see it roll off the production line, you may want to consider giving it a nudge by backing the campaign. Images courtesy of Pi 2 Design.